Mrs. Carolyn Ruth Hornsby Formby, age 74, a resident of De Queen, died Saturday, April 13, 2019, in De Queen. She was born January 31, 1945 in Lambert, Miss. 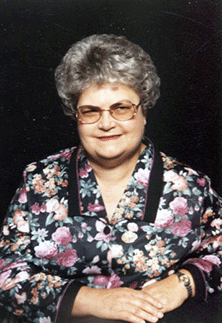 She was a homemaker and a member of the Kern Heights Baptist Church. She was preceded in death by her parents, Roy Herbert and Gertha Lou Hellums Hornsby; and a daughter, Amy Beth Formby. She is survived by one son, Jason Formby; five brothers, Ronald Bert Hornsby, Arthur Grady Hornsby, Charles Everett Hornsby, Quinton Ray Hornsby and James Allen Hornsby; and a number of nieces and nephews. Funeral services will be held at 2 p.m. Thursday, April 18, 2019 in the Wilkerson Funeral Home Chapel. Burial will follow in Redmen Cemetery. Visitation will be at 1 p.m., until service time.